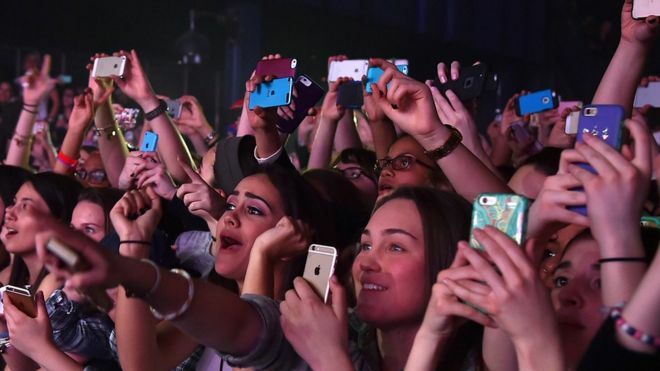 Apple has been granted a patent for technology that could stop smartphone cameras being used at concerts. 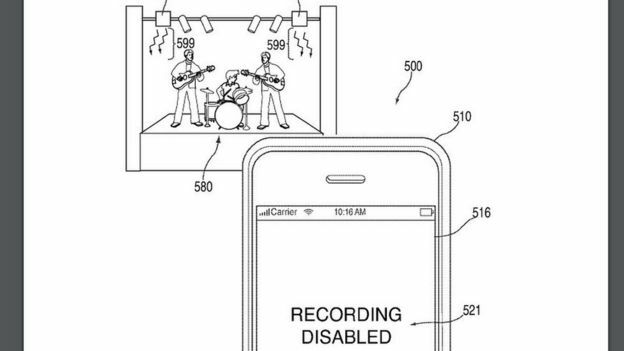 The patent describes a smartphone camera receiving coded infrared signals beamed from emitters in public places. The handset could then offer on-screen information or disable the camera functionality to stop pictures being taken. One technology journalist said the technology could frustrate consumers. “It could harm Apple in the eyes of some people,” said Stuart Miles, founder of gadget site Pocket Lint. “People like freedom of speech – and who is Apple to tell me I can’t record something? The patent was first filed in 2011 and details a variety of scenarios in which the technology could be used. One example shows an infrared emitter placed next to a museum exhibit, which the smartphone can identify to give visitors more information about the artefacts on display. However, other methods of augmenting museum exhibits – such as location-based data sharing and scanable QR barcodes – already exist. It is also possible that a system using coded infrared signals to disable a smartphone camera could be defeated with an inexpensive infrared light filter, or by modifying the handset’s software. Consumers could also switch to rival devices that do not use the technology. “I think the idea would resonate more with event organisers than consumers,” said Mr Miles. “You can see why some music stars would like people just to concentrate on the music, since they’ve paid to see it. You’re also not supposed to record football games and share clips of goals, as there is money involved and the clubs sell broadcast rights. 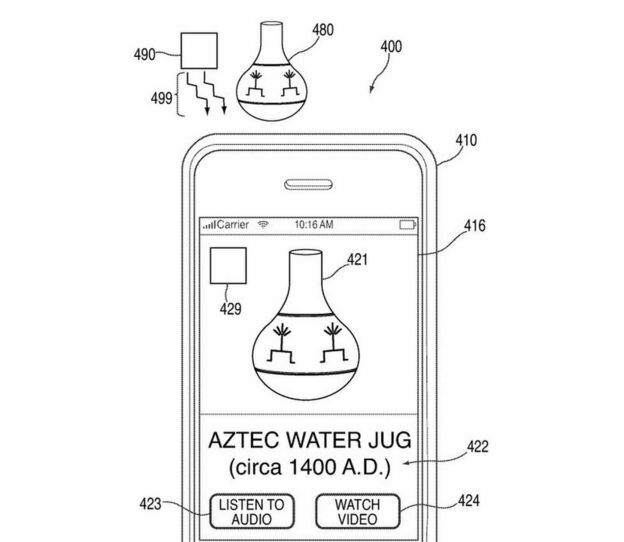 Apple did not comment on the patent.